Ideal for chemically treated, frizzy, thermally damaged, dry, unruly, curly, coarse moisture starved hair types or anyone searching for brilliant shine, moisture, condition and manageability while eliminating frizz. Free of gluten, parabens, phthalates, iron oxides, mineral oil, petroleum derivatives, synthetic colors, nut ingredients and palm oil. Cruelty free. 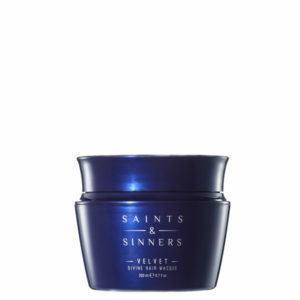 After shampooing with Saints & Sinners Shampoo, apply Saints & Sinners Velvet Divine Daily Conditioner and work throughout damp hair, root to ends. Leave for 1-3 minutes. Rinse thoroughly. 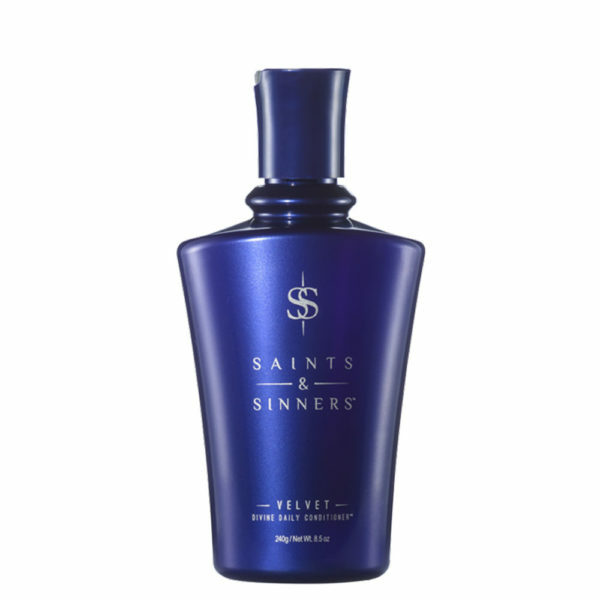 For best results, follow with the complete range of Saints & Sinners Styling Products for optimal results. AFTER BLEACHING MY HAIR FOR SEVERAL YEARS IT WAS LEFT DAMAGED AND UNHEALTHY, THESE PRODUCTS HAVE BEEN BRINGING MY HAIR BACK TO LIFE! THIS IS THE BEST SHAMPOO AND CONDITIONER I HAVE EVER USED - NOT TO MENTION THE SCENT IS TO DIE FOR! THIS SHAMPOO & CONDITIONER IS UNREAL! TRULY MAKES YOUR HAIR SOFT AS VELVET, AND SMELLS DIVINE! OBSESSED! THE SHAMPOO AND CONDITIONER MADE MY HAIR SO SILKY AND SHINY. THE HAIR MASQUE WAS GREAT TOO. 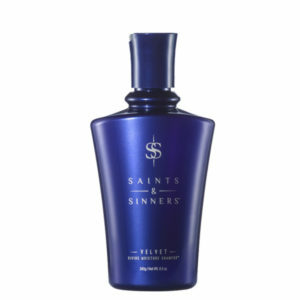 I ABSOLUTELY LOVE SAINTS & SINNERS PRODUCT LINE. ONE WEEK AGO, I WAS DEALING WITH DRY, TANGLED HAIR. THE RESULT AFTER ONE WEEK OF SHAMPOO AND CONDITIONER IS SHINY, SLEEK, SOFT AND MORE MANAGEABLE HAIR! THIS SHAMPOO AND CONDITIONER MAKE MY HAIR SO SOFT AND SHINY WITHOUT WEIGHING IT DOWN! MY HAIR HASN’T BEEN SO CLEAN AND HEALTHY IN A LONG TIME. IT ALSO SMELLS AMAZING! SAINTS AND SINNERS IS NOT LIKE ANY OTHER PRODUCT I HAVE EVER USED ON MY HAIR. IT’S TAKEN MY OLD, TIRED HAIR AND MADE IT ABSOLUTELY YOUNG AGAIN! INCREDIBLY SOFT AND SHINY. THE SHAMPOO AND CONDITIONER ARE A MATCH MADE IN HEAVEN AND I USE THE STYLING POTION BEFORE I FLAT IRON, TOTAL GAME CHANGER!!! OhMyGosh I LOVE THESE PRODUCTS!!! Since my hair is so chemically treated I usually have to put a load of conditioner on to be able to comb it out, but I've been using just a little bit of your conditioner and I can comb right through my hair…It's like a miracle!